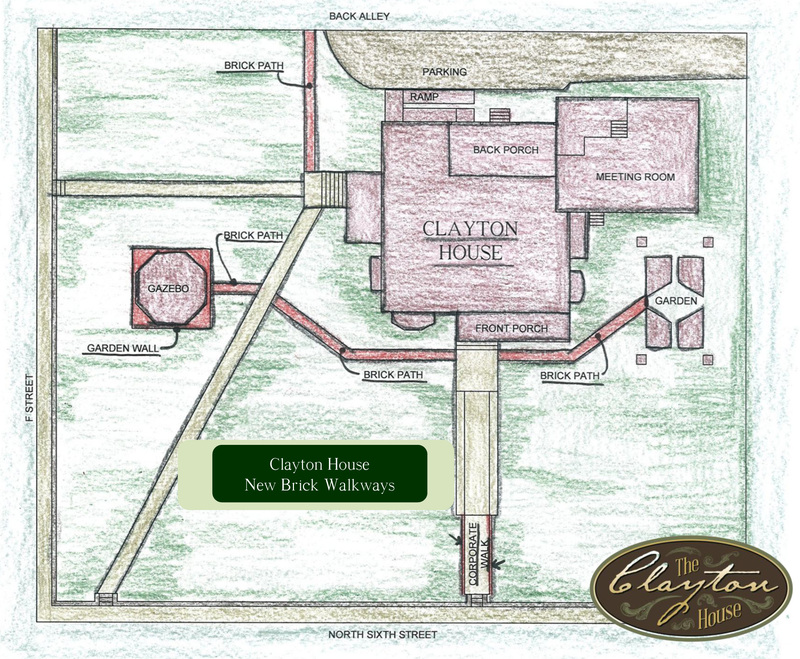 Make history — and make the historic Clayton House stronger and better for future generations – by placing your message of honor, love or memory on these historic grounds. We unveiled our first strolling path on Mother’s Day 2013 and the second path Mother’s Day 2014. A few brick spaces are available in the second path, which leads from the front of the museum to the Victorian gazebo/bandstand, but not many! 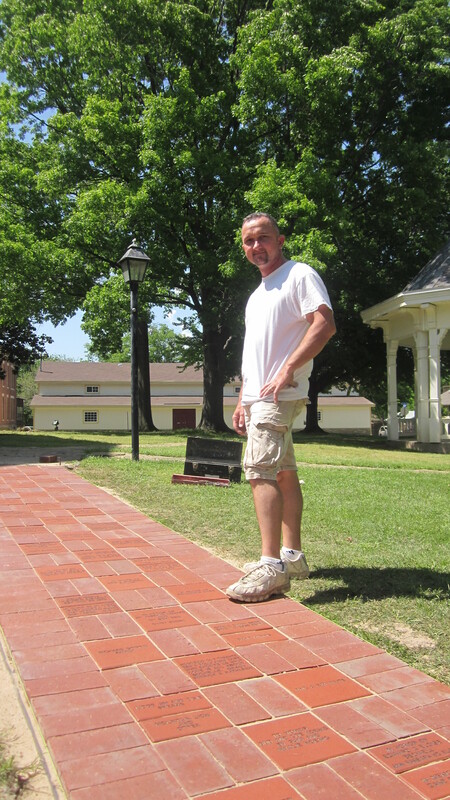 We thank Rushing Construction & Masonry for their wonderful work in producing these high-quality paths. Bricks come in sizes of 4″ x 8″ and 8″ x 8″ ; the cost is $100 and $135, respectively, and this donation is 100% tax-deductible. “Corporate Walkway” bricks will be limited to 60 bricks bearing the names of companies supporting the cultural and economic quality of life the Clayton House brings. The bricks will grace the front walkway leading to the grand front doors of the Clayton House. The tax-deductible donation of $500 brings with it a discounted corporate membership, which has benefits chockfull of history! Thank you for helping make our grounds handicap-accessible and adding to the depth of community history these grounds behold. You may download the order form to print and mail here. An order form will be mailed to you by calling the Clayton House, 479-783-3000.